Crema Coffee holds bragging rights as the first of many fashionable cafes to grace the Junction. Don't get me wrong, though: it's fashionable in a true-spirited kind of way. It doesn't try too hard, and by that, I mean the last time I was there, they were playing old school Modest Mouse and Metric. And old school Chili Peppers and Weezer—it's a true throwback Thursday. The cafÃ© is bright and crowded with neighbourhood characters, from twenty-somethings on their Macs to elderly friends debating over coffee. 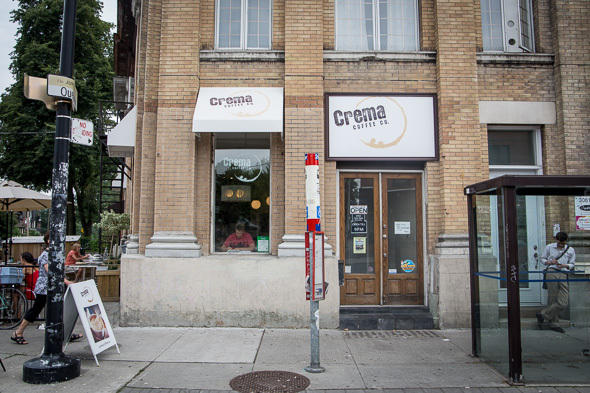 Since Crema's birth in 2008, a plethora of other cafes have cropped up, including Full Stop , Amani Earls , and Good Neighbour . 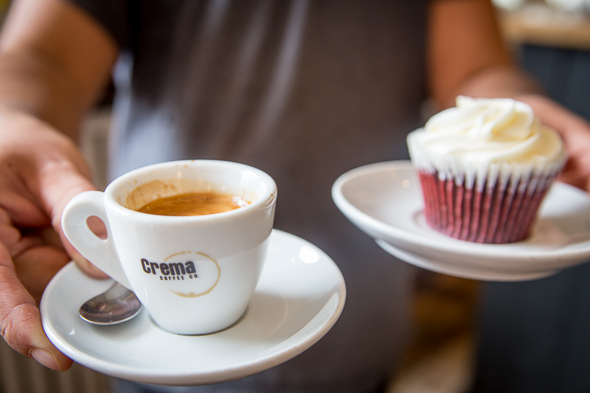 Crema, though, has stood the test of time, and owner Geoff Polci remains unthreatened by newcomers to the hood. Crema's leaves little to be desired. 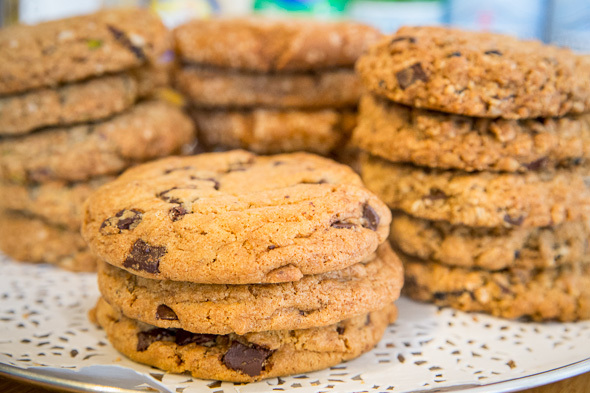 Its menu features local pastries and cookies from the likes of Jules, Circles & Squares, Bunners, and One L Bakeshop. The friendly baristas brew a perfect Americano for me with the Synesso machine. They used Epic beans to create it, but that's about to change (read on to find out why). The coffee is aggressive and strong, but the flavour is somehow subtle, more palatable, and not too bitter. It's perfection in a cup, and the chocolatey nuttiness is balanced by a cookie packed with nuts, seeds, chocolate bits and dried fruit. 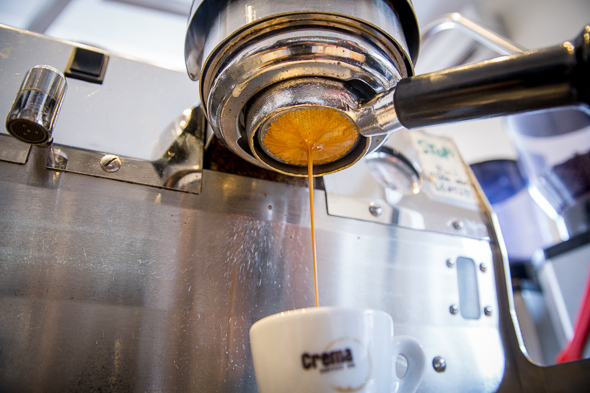 When it comes to coffee culture, Crema has got it going on, and that's why Polci is so chill despite the constant development. 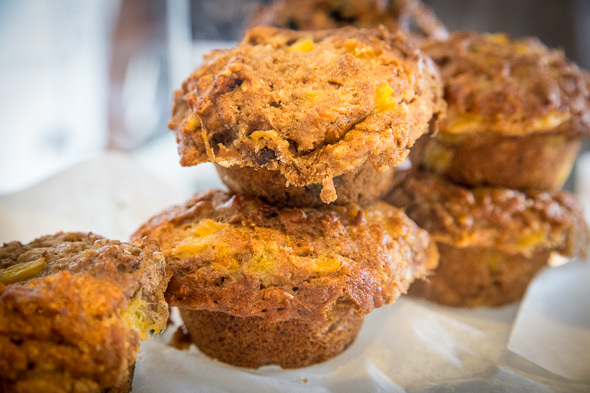 "I think it's great that more cafes are opening up," Polci says. 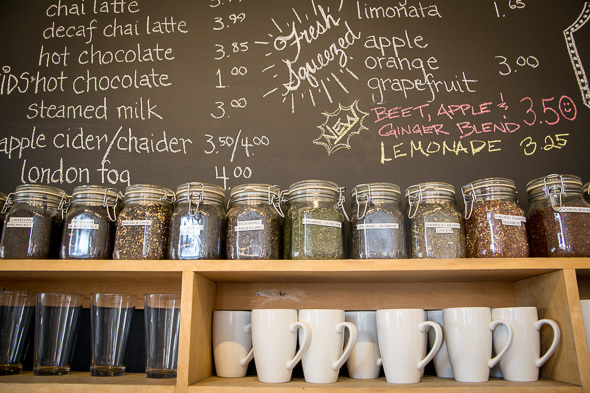 "Specialty coffee is still relatively new in Toronto, so there's tons of room for more. I do think, however, that Torontonians are developing a deeper understanding and appreciation for very good coffees." I have to say that I agree with Polci. Because we, as a city, are becoming more savvy when it comes to our beans, he posits, we're going to develop a more picky attitude about the cafes we decide to support. 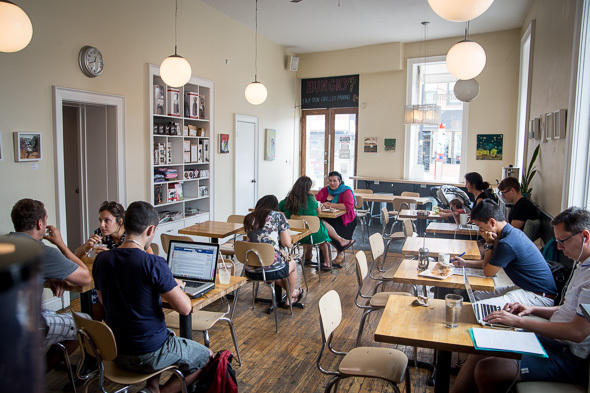 Its Spadina , Bloor , and Danforth locations are all thriving, and Polci is looking to expand all the time. The small chain has huge potential, and Polci tells me he wants to open another one each year for the next 10 years. "I have looked at a few ways to do this, through finding partners, joint ventures, licensing, or going solo. I haven't determined my path yet." Part of the reason he hasn't determined that path is that he is currently focused on opening a new roasting business, Propeller Coffee Co. The 7,000 square foot facility will be located in a warehouse in the west end, and it'll include a cupping lab, kitchen and café. Polci has a partner helping him out, and he says the roasting will be in full swing by the end of the month. "We plan to raise the bar on coffee in Toronto by providing ongoing training and education for the cafe owner and their staff. We think of ourselves more as cafe partners rather than just a coffee roaster and supplier." Only once that venture is fully under control will he start to really think about expanding Crema as it is. As for what some might call the over-saturation of the Junction on the café front (see: Amani Earls , Locomotive , Full Stop , et al)? Polci respectfully disagrees, though narrowly. He says there's room for precisely one more café in the neighbourhood, near Keele. "I've considered opening another there, but I'm sure someone will read this and beat me to it now. 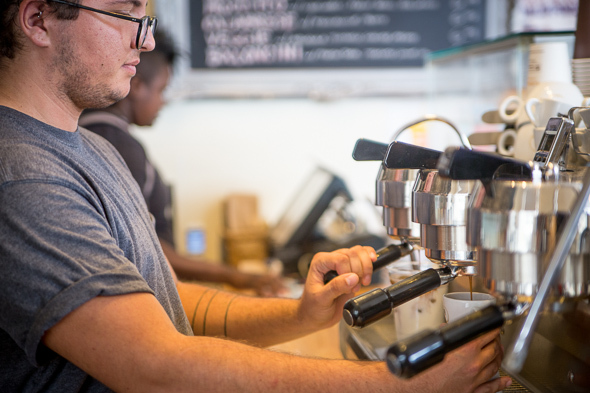 But maybe we can provide their coffee and training through Propeller." Consider that an invite, oh, entrepreneurial spirit. Thanks to the New Listerine UltraClean for sponsoring our coffee-fueled adventures.